Home of Eric Hepperle Designs (Geneva, Alabama). With a combination of 20 personal and professional websites to our name, Eric Hepperle Designs is Alabama’s trusted source for WordPress eCommerce website design. First impressions are important. Here at Eric Hepperle Designs we build quality websites that visitors want to stay on so you can focus on building your business. We specialize in WordPress and our staff have over 7 years experience designing and building WordPress websites for small businesses, bloggers, and entrepreneurs. And a fundamental knowledge of Search Engine Optimization (SEO) means Eric Hepperle designs with top search ranking in mind. Are you looking for a WordPress eCommerce website? WE CAN DO THAT! Do you just want a blog? WE CAN DO THAT! Looking for a membership website? WE DO THAT TOO! For a quality, affordable, well-designed website contact Eric Hepperle Designs today! Since age ten when he first learned to code a few lines of BASIC on an Apple IIe at the Waterloo Public Libray, Eric Hepperle has been in love with coding. Having worked as a software developer for Hewlett-Packard and IBM as well as several startups, Eric has over seven years professional experience coding in a professsional environment within teams of all sizes. Since he starting his career at age nineteen, while obtaining his A.A.S. degree in Electronics Engineering Technology, he has worked over twenty-five professional IT contracts. Eric has spent the last six years focusing his energy on his true passion: WordPress Web Development and Design. Whereas most involved in the creation and maintenance of websites are either good at coding, but not design, or good at design, but not coding, Eric Hepperle is that true magical unicorn blend of both! His passion for aesthetics, problem solving, languages and communication make give him the perfect blend of natural curiousity and meticulous attention to detail that make him a much sought-after software profession in the web development sphere. However, Eric Hepperle doesn’t believe in reinventing the wheel over and over and he also knows the value of using templates, frameworks, content management systems (CMS), code snippets, and other time-saving measures. Do you need website look-and-feel color palette and theme customizations for your WordPress website? ERIC HEPPERLE DOES THAT! Would you love to hire an entry-level software developer who is not afraid to ask questions and loves learning new languages and keeping abreast of breaking techniques and technologies? ERIC HEPPERLE IS YOUR GUY! Eric L. Hepperle is a multi-talented polymath (one who is skilled at many things) from Geneva, Alabama in southern Alabama’s Wiregrass Region. Originally from Wasterloo, Iowa Eric is a traveller and has worked and explored all over the United States. A true renaissance man, his interests and expertise span the gamut of the human experience from web development to coding to natural herbal healing to ancient history and the supernatural to personal development to passive income to bodybuilding to martial arts to spirituality, philosophy, and more. Eric’s main online web presence (EricHepperle.com) is focused on his work as a Web Developer and IT Technician where he gained much practical, hands-on experience throughout the past decade. Eric Hepperle is a born storyteller and has been fascinated with the old bardic and indigenous oral traditions since his youth. This understanding of the heroe’s journey means that he is the right person to craft the perfect narrative for your business storytelling campaign. 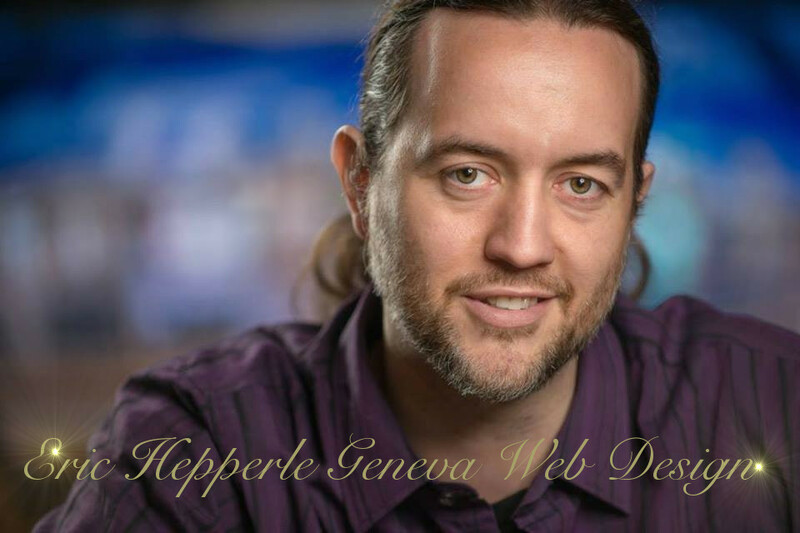 One of the local’s best full stack programmers Eric Hepperle, can be seen at his Geneva Web Design office.